Is the Catfish out of the Bag? Following up on my last post on supermarkets and seafood sustainability, I revisited Safeway, the market rated # 1 by Greenpeace on their sustainability scorecard, and known here in Santa Barbara (SB) as Von's. I was curious about how a Greenpeace rating of tops among supermarkets might be used by a consumer wishing to choose among seafoods those produced most sustainably. So on December 4, 2012 I conducted an informal survey of fish being marketed at Von's on La Cumbre in SB with a goal of checking out sustainability education to consumers. What information is offered by Safeway that would help a concerned consumer make an informed decision when buying seafood? "For the second year in a row, Greenpeace rated Safeway #1 in seafood sustainability for national supermarkets." The other two reflect the scorecard with all markets rated and their ratings, e.g., Safeway received 7.1 out of 10 and Whole Foods was rated #2 with 7/10. There was no other information regarding sustainability. There was no one at the fish counter, so I took a few notes for 3 or 4 minutes then went home to Google myself wiser. "Avoid" farmed tilapia from China and Taiwan, where pollution and weak management are widespread problems. ...U.S. farmed tilapia is the "Best Choice," with tilapia from Central and South America as a "Good Alternative" to other imported product." "Shrimp that are raised in Vietnam, China, Thailand, Indonesia and other associated areas are generally raised in conditions that would not pass inspection in the United States. 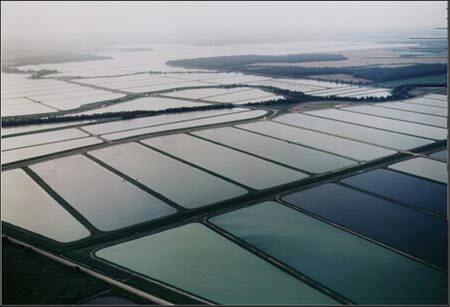 One of the scarier chemicals found in shrimp farms is chloramphenicol. This is an ultra-strong antibacterial agent that shrimp farmers use to control disease in overcrowded conditions. It has been banned in the west for decades because it causes blood disorders and has no safe level of exposure. Chloramphenicol isn’t the only dangerous antibiotic used on shrimp farms. Other antibiotics have been tied to liver failure, cancer, and toxic shock." Farm-raised swai from Vietnam were offered, and this fish turns out to involve major politicking. Swai are native to Southeast Asia, are similar to American catfish native species, and sold variously as basa, Pangasius, or tra, or in the U.S. as sole or grouper. The name catfish is legally reserved for species native to the U.S., where the industry is highly regulated. Aquaculture outside of North America and Western Europe is not well regulated and can pose health threats. In 2007 MBA rated farmed Pangasius not as a Best Choice but as a good alternative with some concern over sustainability. Also, I noted that three fish were tagged as responsible choices: sockeye salmon, catfish from US farms, and US farmed oysters. No information explained the identification of these fish as responsible or whether or not a consumer should infer anything about those not marked responsible. Would they be just not responsible? No one appeared during my 5 minute survey. So far I would conclude that consumer education is not a top priority at Von's. Next post will review Whole Foods' educational offerings at their fish counter.